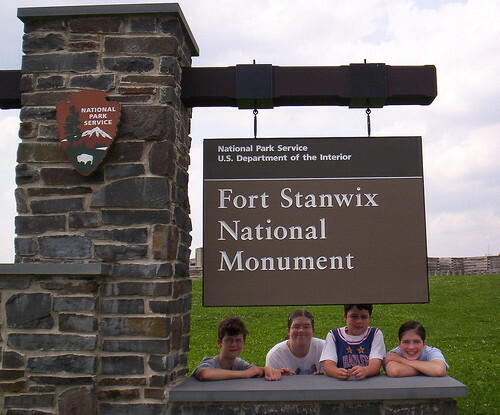 Have I ever mentioned that we absolutely adore Fort Stanwix? We’ve been there many times over the years. This is one of the greatest parks and historic sites I have ever visited, and everyone who works there is so friendly and knowledgeable. Plus, they keep updating and adding new things. 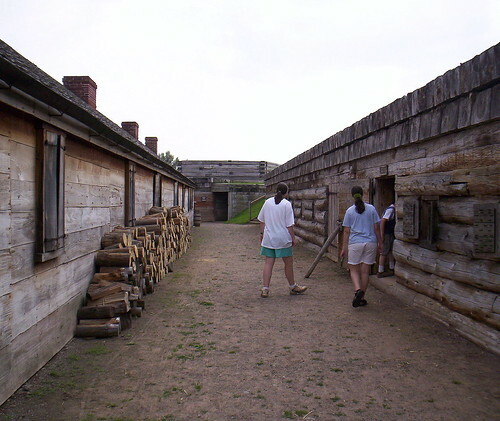 For a more detailed history of the fort, see this earlier post I’d written about the fort and the Visitors Center. We visited in summer 2007 (we visit almost every year). This visit was relaxing and exploratory. It began with a lovely walk around the park, from the Marinus Willet Visitor Center and all around to the entrance of the fort. On the walkways, there are large, informative plaques. I let the kids wander wherever they desired. 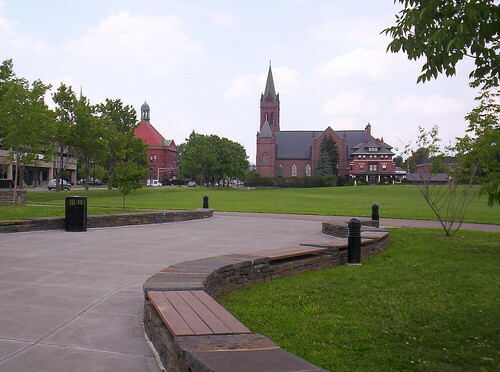 We are quite familiar with the grounds. 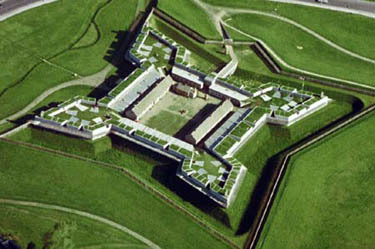 Here’s an aerial view of the fort. 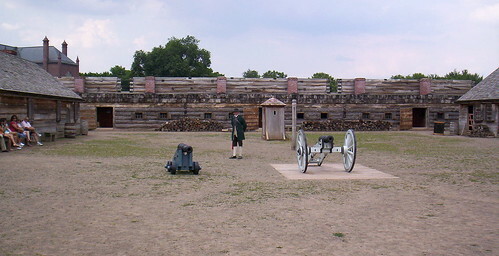 Forts were built this way in New York State. 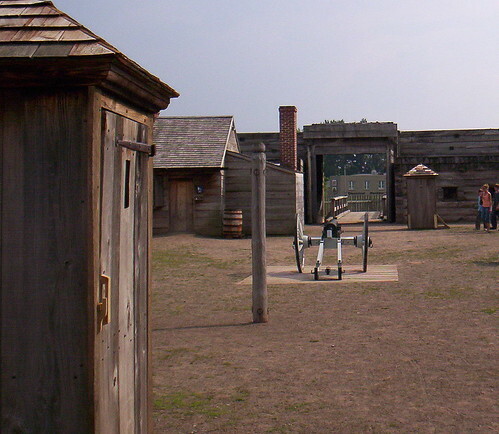 Some forts date back to the French and Indian War, before 1754! I love the skyline from the top of the fort’s embankments. 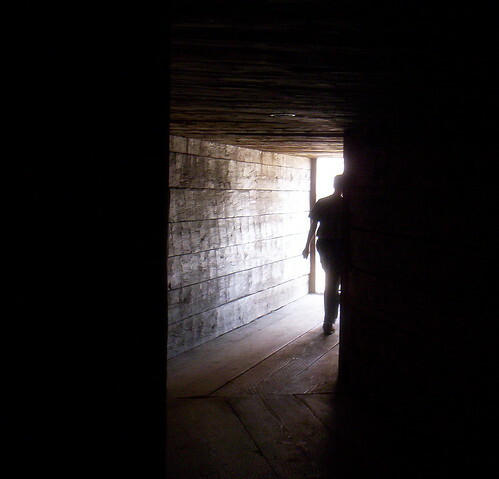 The boys like the bombproof– a place under the berms where stores and ammunitions are kept. 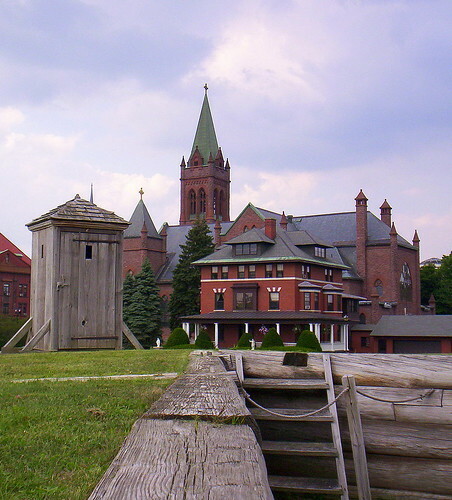 It also served as a hospital during times of siege. The girls and I like learning about life back then. Therefore, the quarters and bunk rooms interested us. 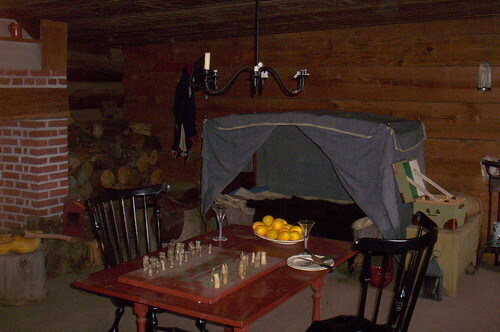 All around the fort, the rooms in the long wooden dwellings are open for exploration. They are filled with genuine and replica articles that were common for this time period and for military barracks during the Revolutionary War. There is always something neat to play with at the fort. At the fort, we got to sit in the theatre this time, to watch a movie. 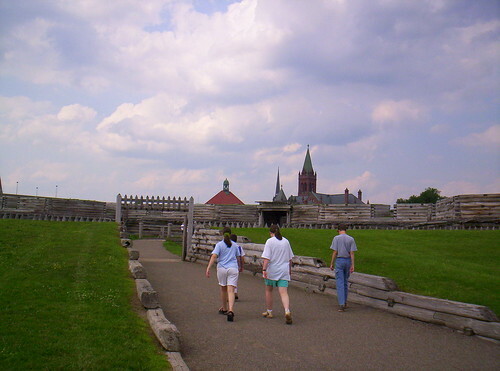 The park service has, in the past several years, produced some excellent films about the fort. 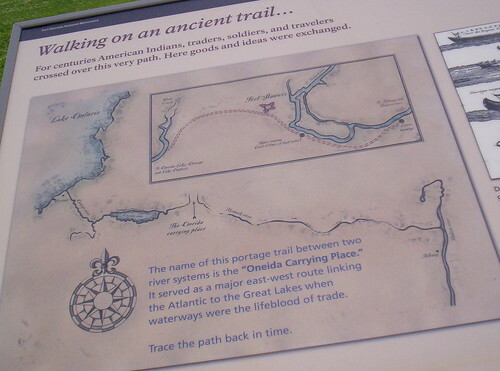 We’ve seen ones on the Battle of Oriskany and another about the Oneidas’ contribution to the war. Today was another great film about life at the fort during times when fighting ceased. 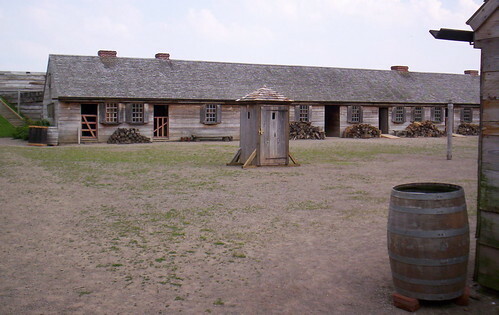 It portrayed a soldiers’ experiences at the fort during times of monotony between battles. We recognized many of the actors in the movie– employees of the fort who have been so informative and friendly during our visits. We also enjoyed a instructive presentation about popular music during the fort’s heyday. The instructor was a very talented fife player and made the presentation fun! 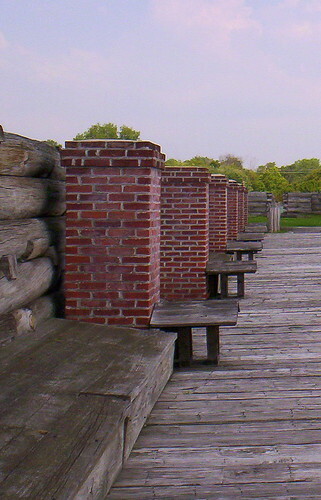 Although our visit was briefer than other visits, we still loved seeing Fort Stanwix again! And no doubt, we will see it again this summer! Since they keep adding new things, I’m sure it will not fail to interest us. Hopefully, we can make it to a re-enactment this year! Awesome post! 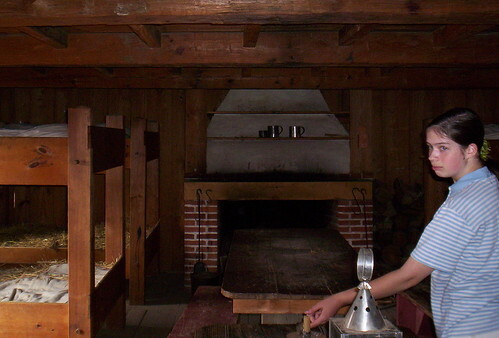 Have you been to Mackinac Island and Ft. Mackinaw? I feel much the same way about that special place in the Great Lakes. The Mommy–you’re the first one that’s ever commented on the daily trivia. Thanks! Sheila, Thanks! Buffy was an awesome dog. Your response alone made this post worthwhile. Kath, thanks for the kind words, they’re much appreciated. I usually vote for your blog as well. Nice *ss-kicking you handed me! You should try whitewater rafting…there are rivers and experiences out there for any kind of comfort level–not all whitewater is white-knuckled death-defying adventure. Mrs. Mecomber, I agree, the photo is spectacular. Just email me at msurdan@aol.com. Tink, Olivia and Karen were great friends, Olivia did a lot of covers in the 70s before Grease, and Karen used to sing a lot of her songs as well…all were rare, and usually only performed live. Mariuca, thanks so much for the kind words. Buffy was our childhood dog. She was absolutely amazing. Matt, thanks for the comments and encouragement….was feeling a little mushy yesterday. Time to get back to the dark and “manly” side with today’s post. What a beautiful area. Thanks for sharing. That red church building is absolutely gorgeous. 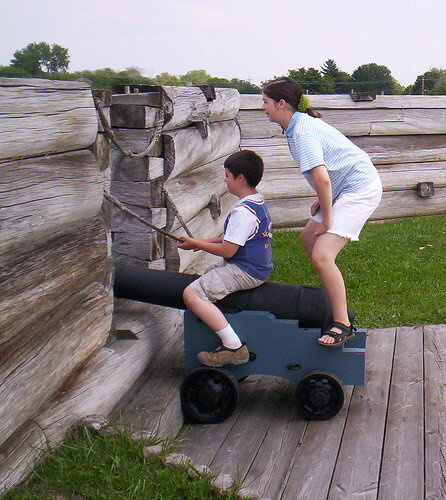 It looks like the Fort is a fun place to visit. Thanks for visiting my blogs via entrecard also.